Originally released in Japan and Asia in December 2017, the festive red and gold GA100VLA-4A is now officially available in North America. 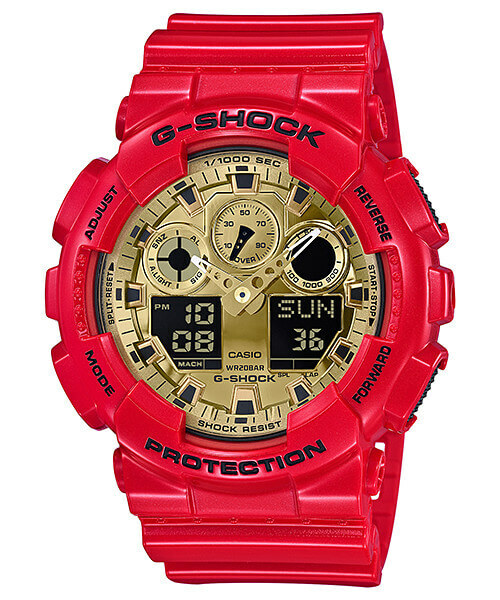 This large analog-digital model has a glossy red bezel and bands along with a metallic gold face. The bold design matches the traditional Chinese New Year colors with red symbolizing joy and fortune and gold/yellow symbolizing neutrality and good luck. Chinese New Year falls on February 5 in 2019. 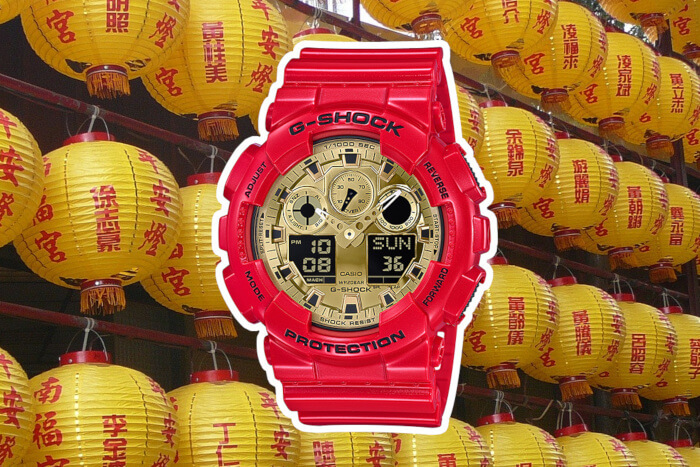 According to g-shock.jp, production on this model has ended so stocks are likely to be limited. A matching Baby-G model for women was also released alongside the GA-100VLA-4A in Asia. Update: Apparently Casio America did not have many of these in stock and did not distribute any to resellers as it appears to be sold out and unavailable now.